Judd’s hand-built ceramic sculpture reflect on his Jewish cultural identity and upbringing through the objects and family heirlooms that surrounded him in his youth. In the studio, Judd responds to these objects and subsequently observes, reflects, dissects, and remakes them in clay. 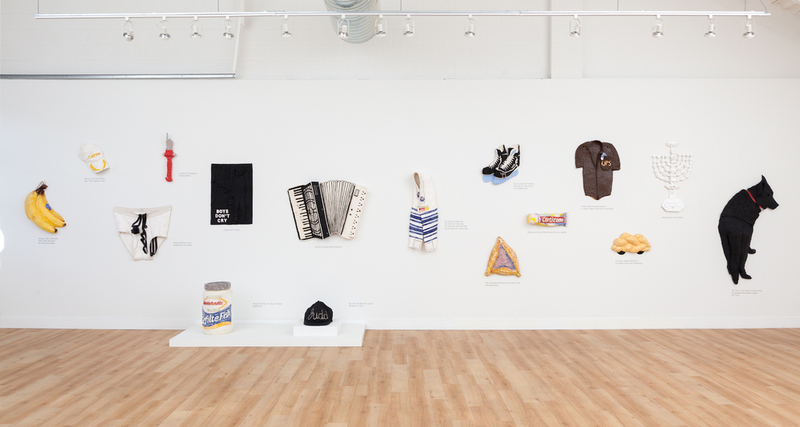 The resulting amalgamation provokes questions about the nature of personal and cultural identity. "How does one elucidate the burden of their personal and cultural history? The concept of culture is a vast and at times opaque circumstance of human existence rooted in centuries of tradition and ritual. How can I, as an American artist, understand my sense of individuality and freedom within the ethnic milieu of Jewish history? Researching the foundation of my relationship to Jewish culture and making art in response has provided a sense of transparency and levity to a previously obstructed aspect of my identity.